PENN YAN—Three sections of the Outlet Trail have been adopted by Penn Yan Middle School Helping Us Build Better Assets (HUBBA) members. The target sections are in the heart of the trail. The sixth grade section is from Fox’s Mill to the Milo Mill Access. Going west, seventh grade is responsible for the area from Milo Mill Access to Seneca Mill. The eighth grade area is from the Seneca Mill to the Visitor’s Center Access near Ridge Road. Earlier this fall, students had an opportunity to walk their section of the trail. Three groups of Penn Yan Middle School students have been staying after school recently. They have stayed at school after the school day ends to work on a very special project. Currently each grade level group is building a picnic table to install in their section. On a recent Thursday afternoon, sixth graders were focused on sanding, measuring, drilling and checking levels. Their table was nearly finished. Middle School HUBBA advisor Steven Bloom and technology instructor Cle Ross supervised, giving advice and instruction as the group worked. Bloom said the students are doing the work in stages at grade levels. There are about 15 participants in each grade level. When the tables are finished they will be put into storage until spring. This will not be the end of work on the project. During the winter months, students will research their respective sections of the trail. The next step will be creation of interpretive signs for their area. Bloom said one group will help maintain the areas. Another will work on signs and historical markets. A mural contest is underway now. Friends of the Keuka Outlet Trail and the middle school HUBBA activities team announced the contest. The project is titled, “Let’s Make History.” The theme of the mural is based on the title and a major portion of the Outlet Trail’s history. The winning mural will be painted on the building at the picnic area on the Outlet Trail. At one time, the Keuka Lake Outlet was one of the most highly industrialized areas in the county. A canal next to the trail carried products to Seneca Lake and on to other parts of the East coast. A railroad made the trip along the outlet in later years. That mode of transportation ended during the early part of the 20th century. A hurricane in 1972 brought flood waters to the area, damaging most of the tracks. Yates County owned the ribbon of land along the canal for several years. The Friends of the Outlet was formed more than 25 years ago and now owns the trail. 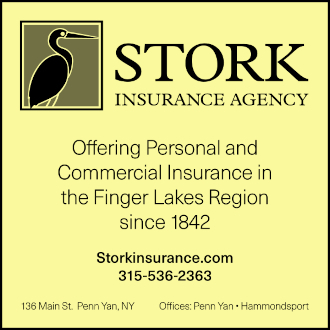 The area covers six miles between Keuka and Seneca Lakes.